Optima Magic Erasers are ideal for removing tough stubborn stains such as crayon, dirt, soap scum, limescale and so much more. 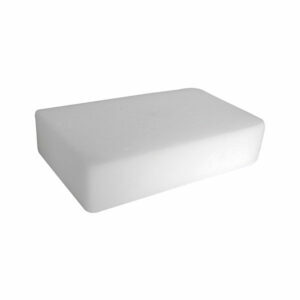 They are perfect for use on taps, tiles, baths, sinks and stainless steel appliances. They can even be used to remove scuff marks from trainers, car interiors or alloy wheels. The magic eraser really does remove tough stains like magic by only using water. 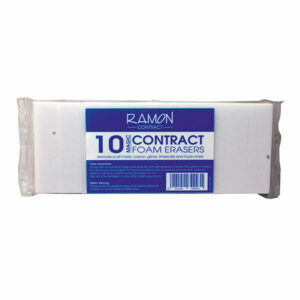 Ramon Contract Erasers are ideal for removing tough stubborn stains such as crayon, dirt, soap scum, limescale and so much more. They are perfect for use on taps, tiles, baths, sinks and stainless steel appliances. They can even be used to remove scuff marks from trainers, car interiors or alloy wheels. The magic eraser really does remove tough stains like magic by only using water.